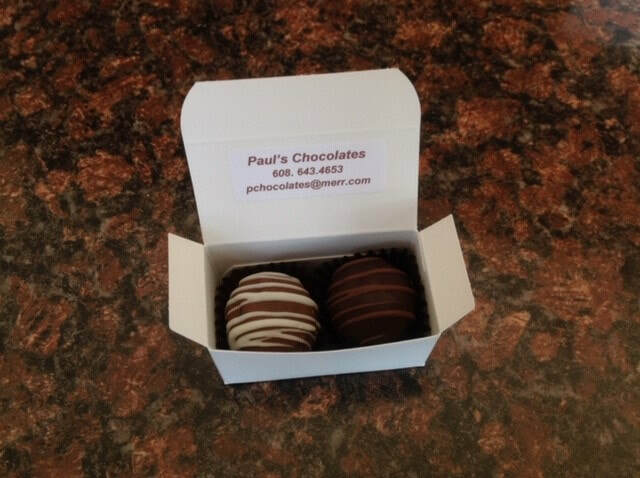 ​We have 6 box sizes to choose from. 2, 4, 6 and 12 piece boxes. 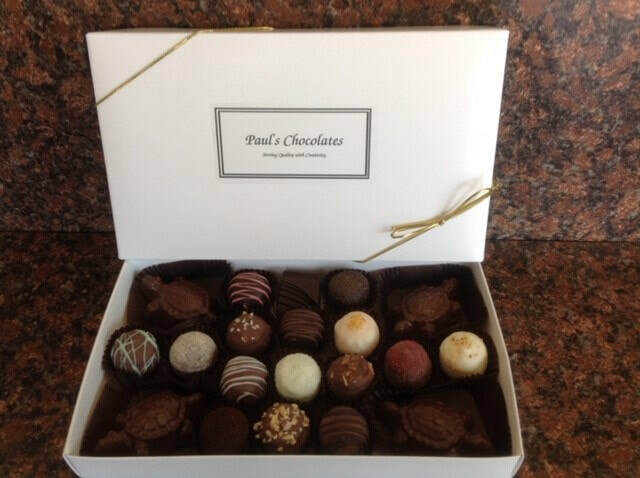 We also have a small variety box ($15) that has 2 Turtles and 8 Truffles of your choice and a large variety box that has 4 turtles and 16 truffles of your choice. 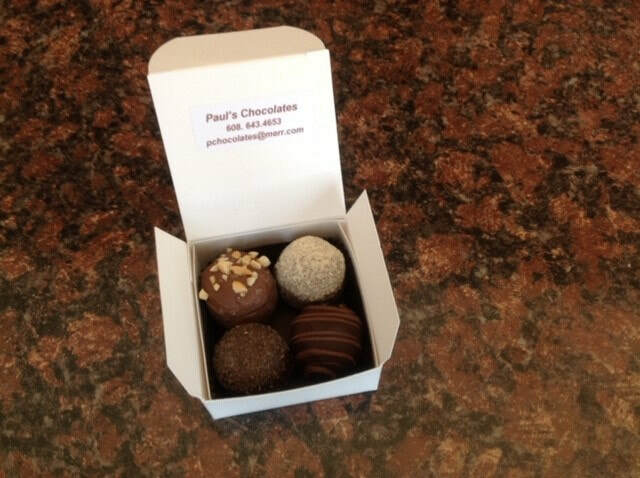 A Sampler Box ($5) of 2 Truffles or Caramels & 1 Turtle. 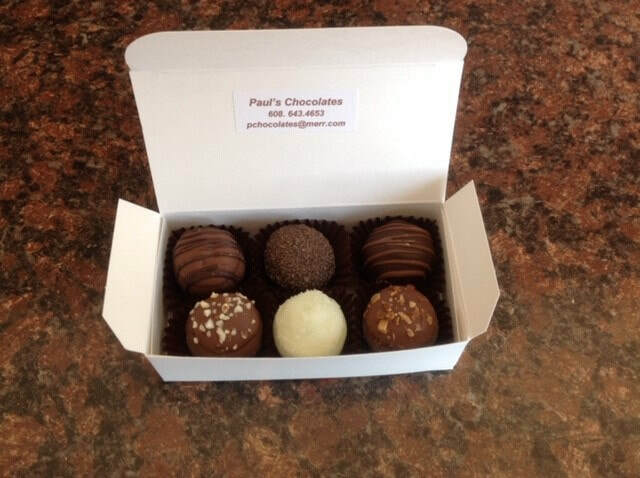 All box sizes may be ordered with your choice of truffles and/or caramels.